I think majority of people will name one or both of there parents as one of there life heroes simply for being great parents well I am no different both of my parents have been fantastic role models to me and my sister and all our childern . 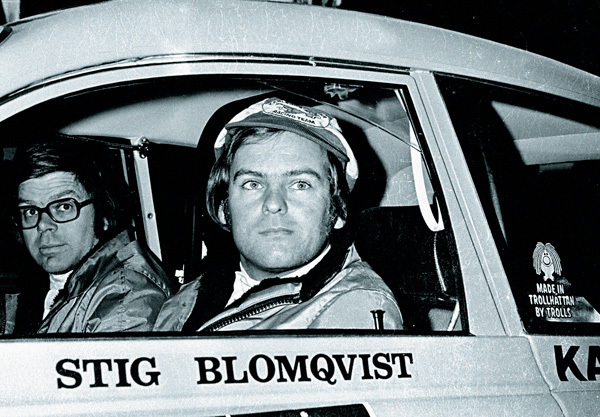 My sporting hero would be none other than rally car driver Stig Blomqvist I can remember watching him hurl iconic 1970’ and 1980’s rally car’s down narrow winding forest tracks . The cars involved ranged from Saab 96 v4’s , Audi Quattro’s , Ford RS200 ,Skoda’s amongst many others . 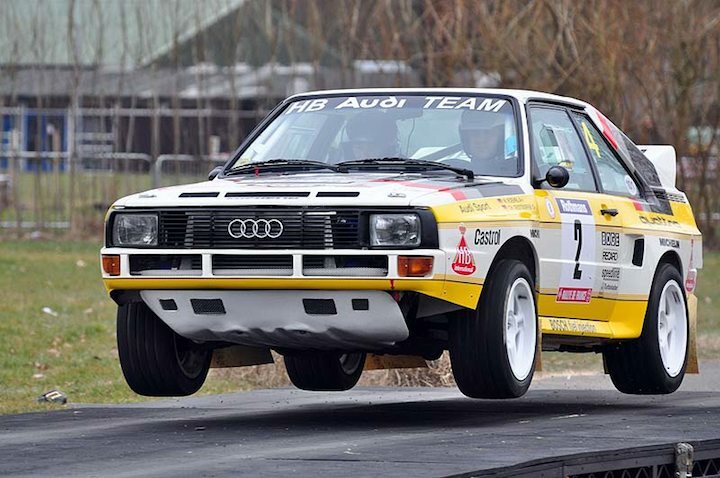 Not only did he compete in Rally’s I also remember watching him on TV competing in Rallycross events from Lydden Hill and Brands Hatch and also the Pikes Peak hillclimb event from America . According to Wikipedia he was born in July 1946 and as you might have already geussed in Sweden . 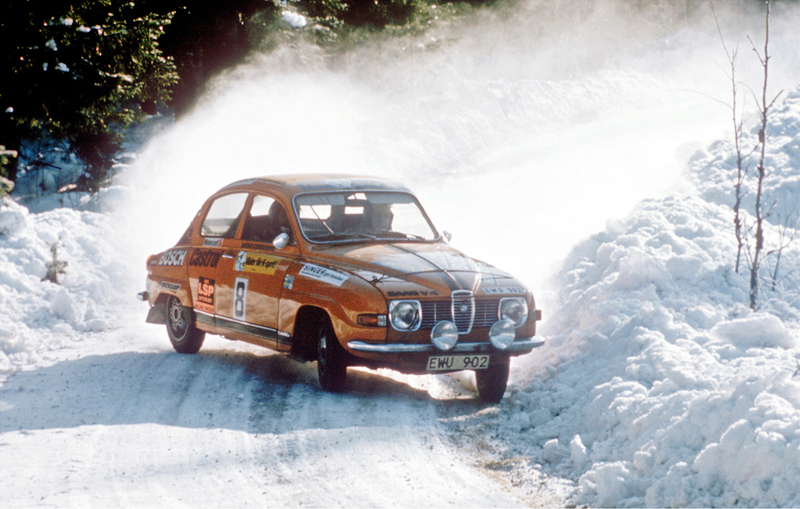 He competed from the early 1960’s driving a Saab 96 and later went on to drive for the official Saab team , his first international victory came in 1971 the last WRC win he is credited with was the 1984 Ivory Coast Rally driving an Audi Quattro , but he competed on international events right in to the new century . It amazes me that I quite often get e mails from people I don’t know , asking me about value and information of a bike they are thinking of selling or just bought ! I feel quite honored that these strangers think I can help them and I am more than happy to help where I can , the information I find is quite often new to me never mind them . 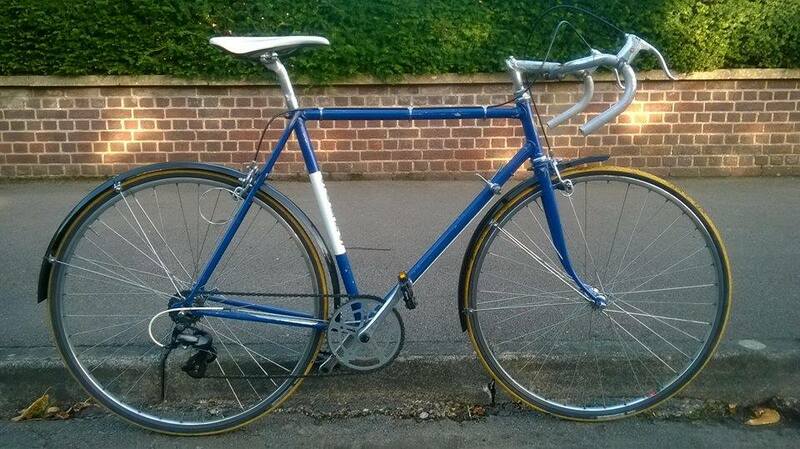 One such enquiry last night was from a chap who sold 2 absolute fabulous 80’s road bikes a few weeks ago to somebody else as we could not agree on price although I realized straight afterwards his asking prices were more than fair , it was just me being a tight are . The bike in question was a Raffingora with some connection to David Edlin or that is what the seller told him . A quick google search brings up the fact that Raffingora is an area of Zimbabwe and a very successful race horse from the 1970’s who racked up 17 wins from 28 starts in 2 years competing in handicapped races . So bit more of a search using David Eldin revealed that at some point he was connected to Lighthouse Cycles in Kegworth ,Leicestershire but I could not find that they were still in business today , there were also references to Pedal Power Cycles of Loughborough who do seem to be still trading today . He also looked to quite well known in the Leicestershire / Nottinghamshire time trial fraternity , but was a new name to me . The bike in question looked superb in the pictures I was sent and for what the new owner paid for it I would say it was one of those bargains that happen every so often . I lay in bed this morning before getting up and I could hear the wind blowing nicely outside , looking out just before I left home it didn’t look to bad in all fairness so off I went on my trusty Ian May the 2nd road bike . As I reached the point of my commuter where I decide to cycle path or main road I could see the traffic ahead backing up quite a lot so I decided to go the cycle path route . The remainder of the commute was easy and no issues just a bit of head wind for last 300 meters . Sitting in the office later in the morning I could see from looking out the windows that line our office that it was getting blustery with spells of sun and heavy showers as lunch time approached I readied myself for the commute home . Within the first 100 meters I could tell this was not going to be a pleasurable one as each gust of wind was trying to push me across the road , it came as a bit of relief as I rode past a row of parked lorry’s that acted as a wind block but soon as I cleared them back came the wind . The actual cycle path section of the commute was nice and easy as I was travelling in the same direction as the wind so nice and easy with little or no pedal effort required , soon as back on the road again it was a balance of riding along and trying to keep the bike straight and upright . It’s hard to understand how a road bike with spoked wheels could be so effected by the wind , if the wheels were disc style then you could understand maybe . The last section of road was again fairly pleasurable as I changed direction and found that I had a nice tail wind with just the occasional sideways blow as I rode past junctions and gaps in the rows of houses . Being a cyclist and not just a fair weather one at that I don’t mind riding with a continual head or tail wind and I can put up with rain and sleet but I don’t enjoy riding in strong side winds , snow or ice . For riding in those conditions I have a turbo trainer and bike set up in the garage or a car sat on the drive . 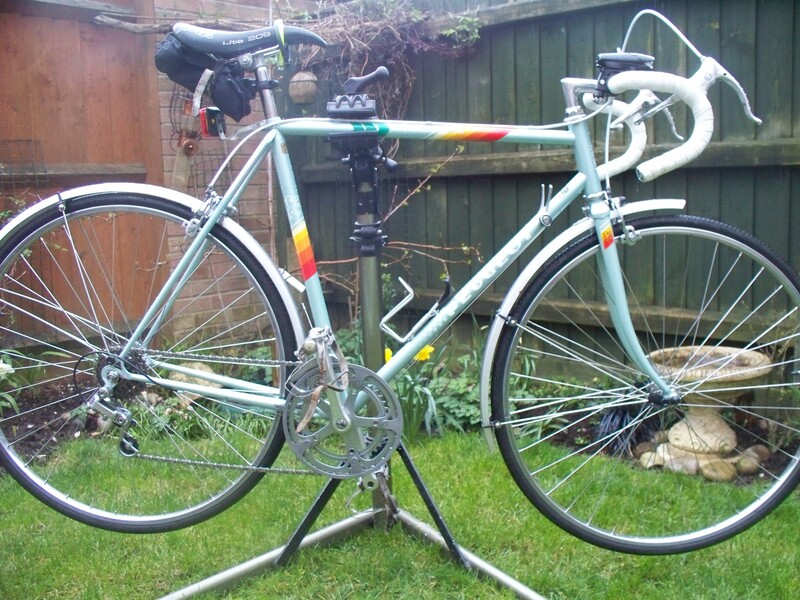 This years Eroica Britannia is coming up soon , has anybody got entry that needs a bike to use ? I supplied at least 4 bikes that I know were going to be used in last year’s event and even looked at hiring another one out . As it stands at the moment I have one bike ready to go and a chance of at least another couple awaiting completion if need be . I know that if i was entering the event myself i would like to get a few hundred miles in on the bike that i was going to use , just so i can get it all set up correctly. 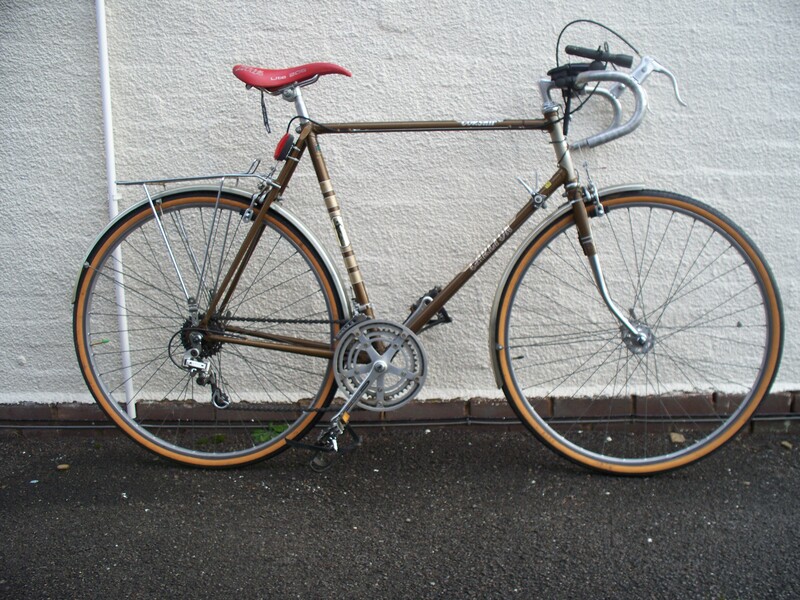 The below Carlton Corsair would be an ideal machine for this great event as it was originally built for touring and carrying luggage so its gears are suitable for going uphill and down dale along with effortless cruising along the flat bits should they exist . Late 70’s Carlton Corsair Reynolds 531 butted frame in 23 1/4″ or 59cm size and 22 1/4″ or 57cm size with a stand over height over of 33 3/4″ finished in original Bronze paintwork and matching decals all in very clean original condition with the exception of a few what look to be household paint drips ! 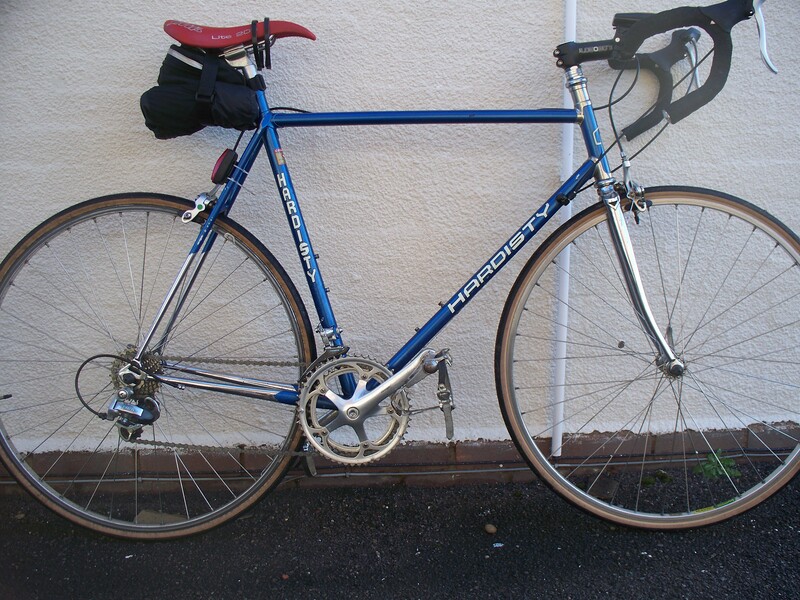 Reynolds 531 tubing with good original half chrome fr forks , large flange normandy hubs laced to 27 x 1 1/4″ Weinmann alloy rims with as new Michelin world tour tyres . Suntour power command down tube shifters with Raleigh fr & rr mechs and Raleigh alloy crank set that provide 10 speeds to choose from . 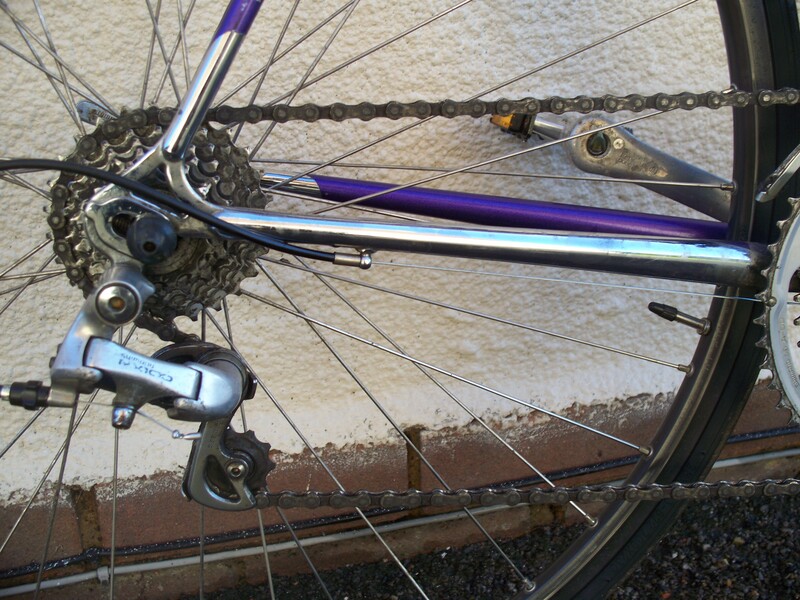 Weinmann/Raleigh centre pull calipers front & rear operated via Dia Compe non aero levers and new barke pads . 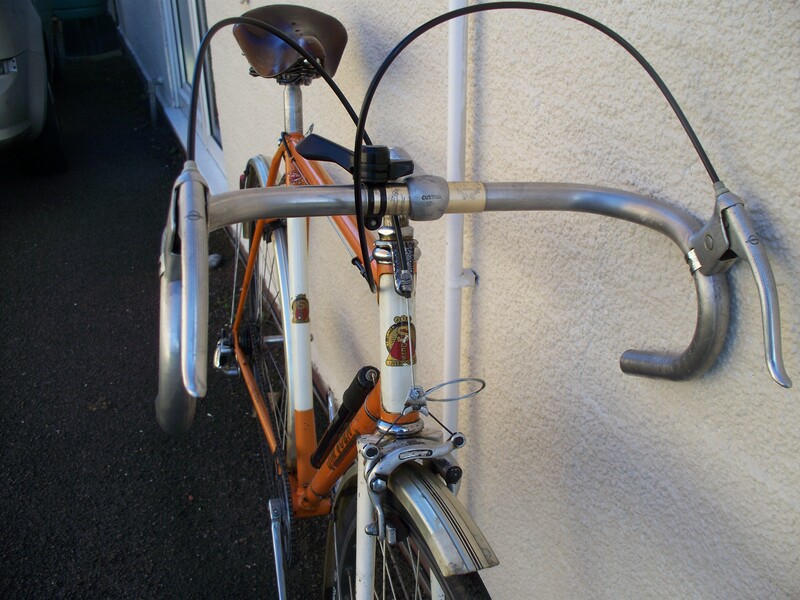 Sakae world champ alloy bars and 90mm quill stem that is free to move and adjust as is the original seat post . 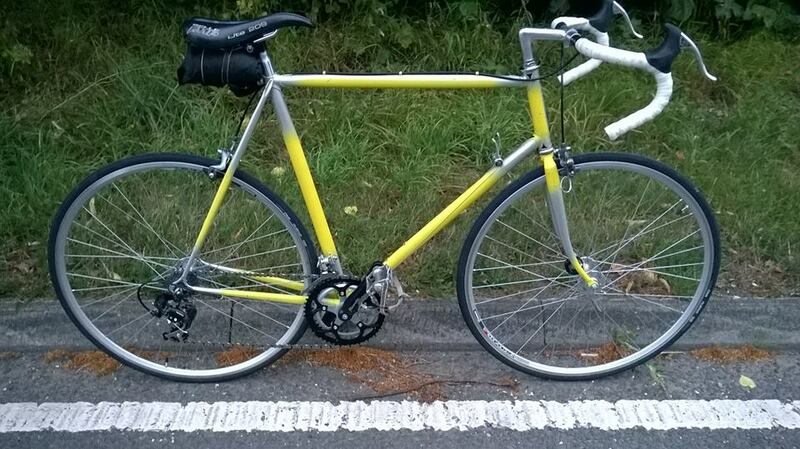 Fitted with Esge gold coloured full length guards fr & rr and an original rear pannier rack so ideal for commuting or touring . 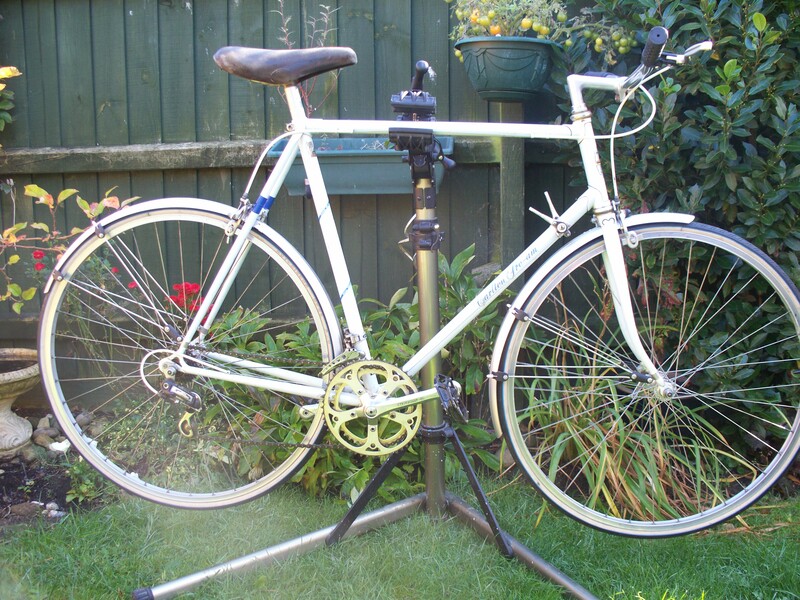 Within the last 100 miles this bike has had new tyres, brake blocks , all bearings have been stripped and repacked with fresh grease so it is ready to go . How Long Do You Go For ? Most of my time spent on a bike is done whilst commuting back and forwards to work , although i am happy with this i do like to go a bit further and longer sometimes . These longer rides are normally done early in the morning , so they dont interrupt with the rest of the days activities . I am more than happy getting up early so i can get a ride in before going to work or going out at the weekend early and then once done i can get back in to bed with a nice cup of tea . 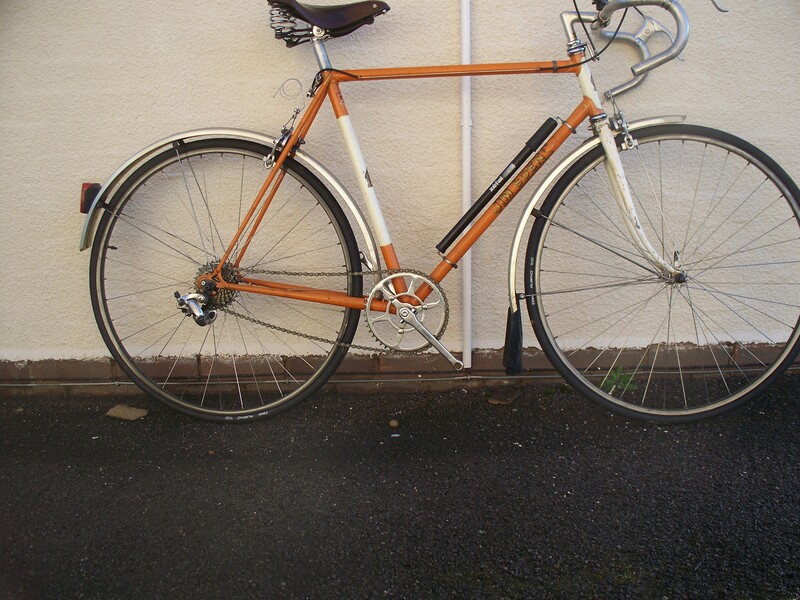 At this moment of time these early rides are around the hour in length and aprox 15 + miles long , this suits me fine but as winter fades i will extend my rides where possible but again many people will feel they are not worth getting the bike out for . So how long do you go out for and what time of day suits you best ? I know some cyclist like being out all day and can cover 100+ miles in this time , just like i did when i was a teenager and went out most Sundays with the Kidderminster section of the CTC . Just how many different makes of bikes are there !! Ok so all of them were European brands either still in business or stopped producing in the 80’s . I should think in the future a lot will all be made in some far off place and just come out the door with a different set of stickers on along with a different selling price ! It is often said that the above is already in operation in the world of carbon bike frames , as these have no real interest to me I don’t really know for sure but it would not surprise me . 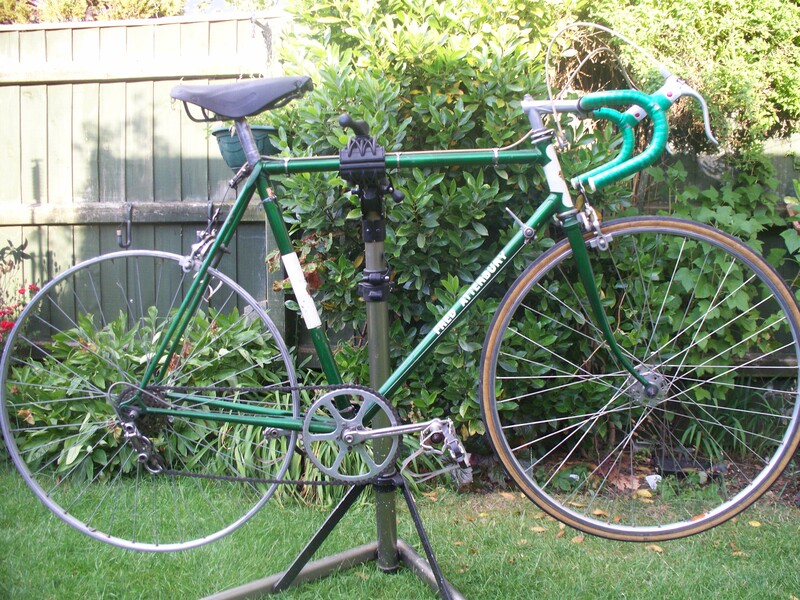 The days when a person stands at a frame jig brazing tubes together to create somebody the perfect bike must be numbered to a degree because how many of us can afford to have a bike tailor made for us ? 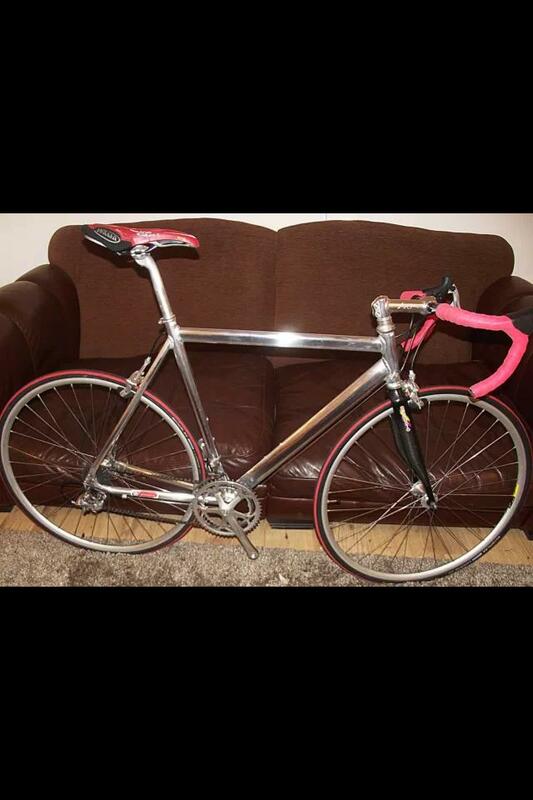 The second hand market still see’s a good selection of these coming up for sale and normally the 2nd owner onwards will ride with the bike set as close as they can to suit there style and taste . Many of us die hard steel bike riders are happy with the above because we know that when the bike was originally produced it was done by the hand of a skilled frame builder rather than being mass produced on a production line . 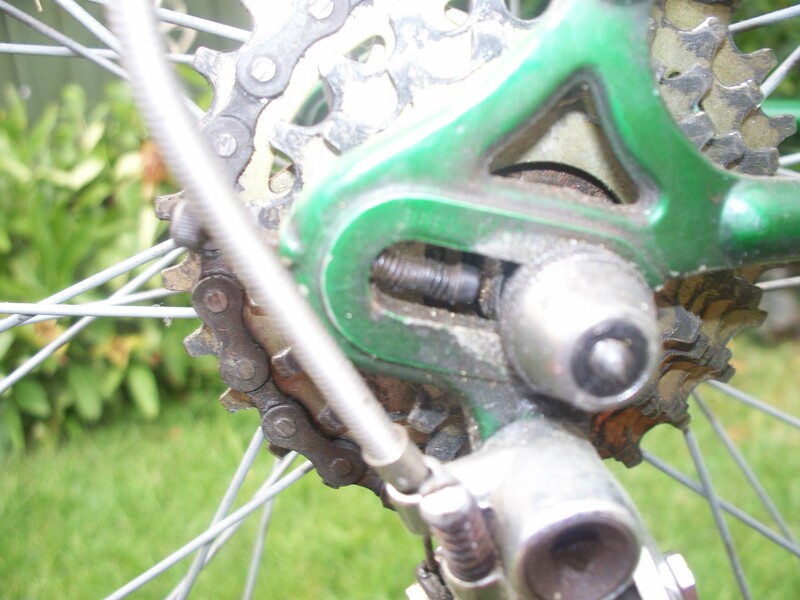 The thing I like best is the amount of detail that can be added to lugs and braze ons ie the smaller parts that a lot of people overlook and would normally never notice if it jumped out and bit them on the bum ! 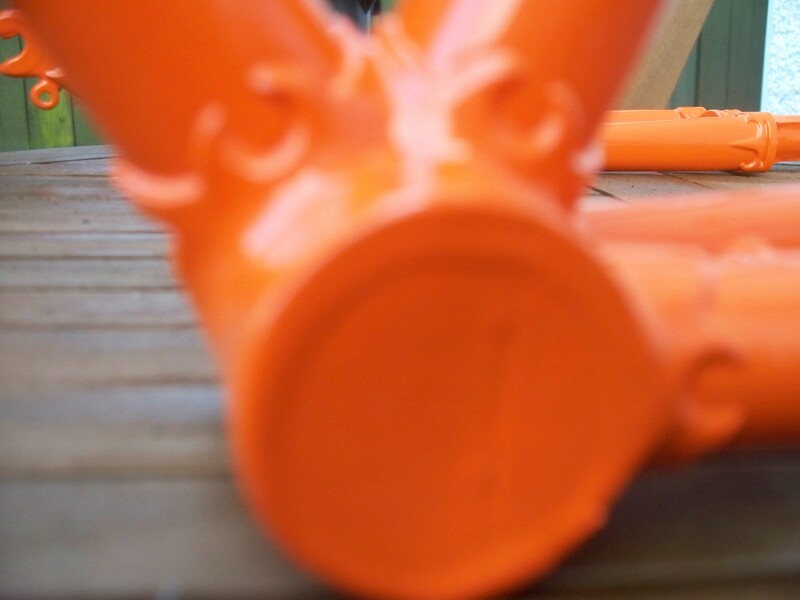 There have been a few bikes that have past through my hands over the years that have contained this kind of detail that I initially had not noticed and only noticed it whilst either giving it a pre delivery clean or whilst it was being packed ready for dispatch to its new owner . 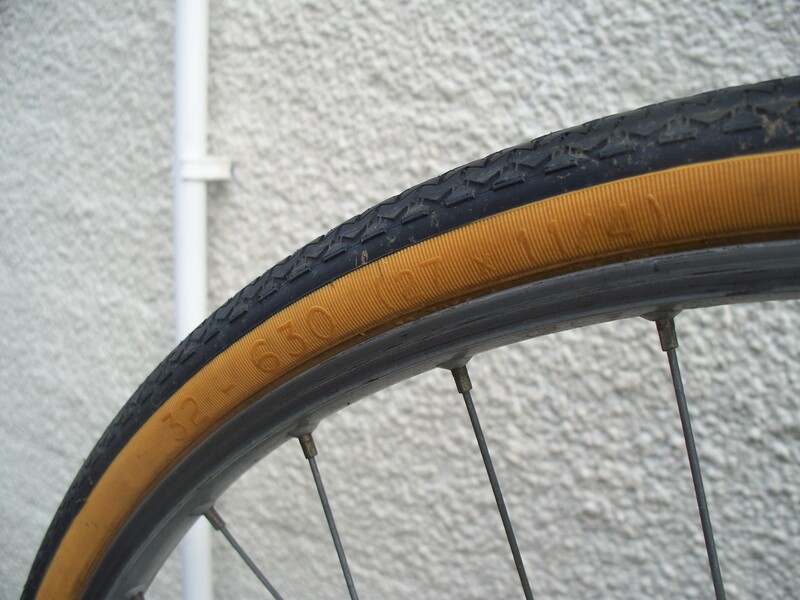 The one that sticks in my mind the most was a late 70’s early 80’s Claud Butler bike that had no visible labels stating what kind of tubing was used in its construction , the original owner could not remember for all the tea in China he realized the importance of this info but was unsure . 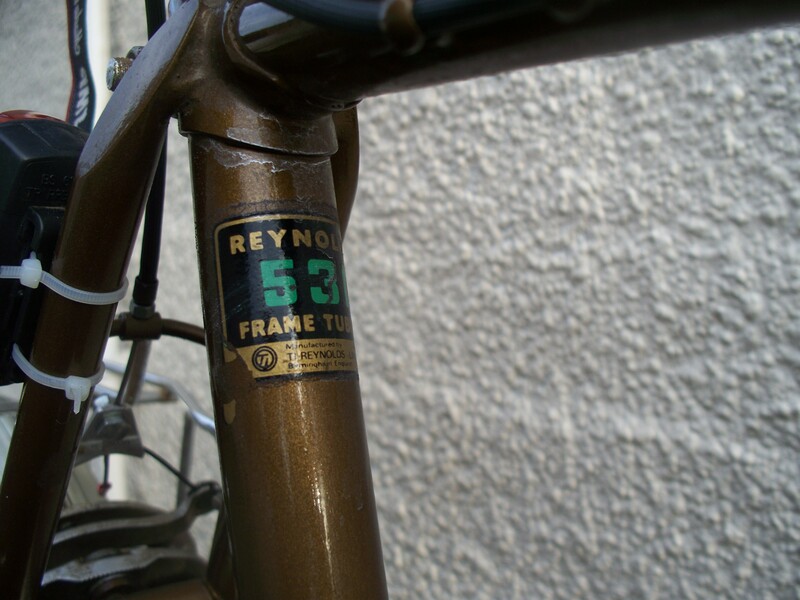 It was only as I fitted foam tubing around the front forks that I could quite plainly read the word Reynolds stamped on the fork blades under the paintwork very faintly and I am sure many other people would not have noticed it at all . I think a new branch of solicitors have set up shop in our garage ! Mr Hardisty looks after the long leisure rides thanks to his recent upgrade that has included a Campag crankset and some Shimano Sti units . The recent mods have finally given this bike all the tools it needed to be a stayer in the firm . 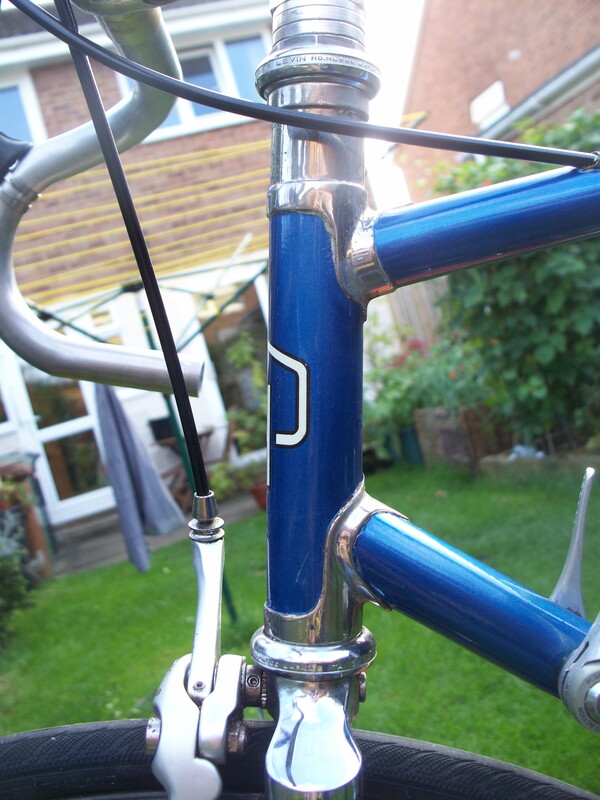 Its blue metallic paintwork looks good next to chromed front forks and rear triangle never mind the chromed head tube lugs i am sure you all agree . Mr Jim Soens is still undergoing a change of roles he joined the firm as a working 3 speed machine but i could see he deserved some extra gears along with a pr of nice drop bars instead of the butterfly ones it came with . Work has progressed slowly to fitting 700 c wheels and rr mechanism along with a pr of drops just needs a chain and a gear lever to be fitted and then the fun starts . 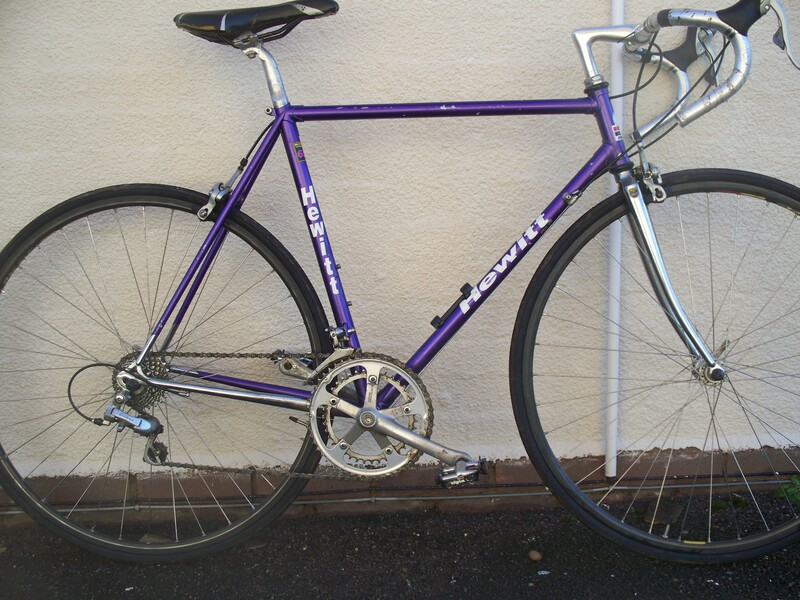 The final member of the team is young Mr Paul Hewitt with a sleek and light Reynolds 653 frameset with some chromed fr forks and lower stays . 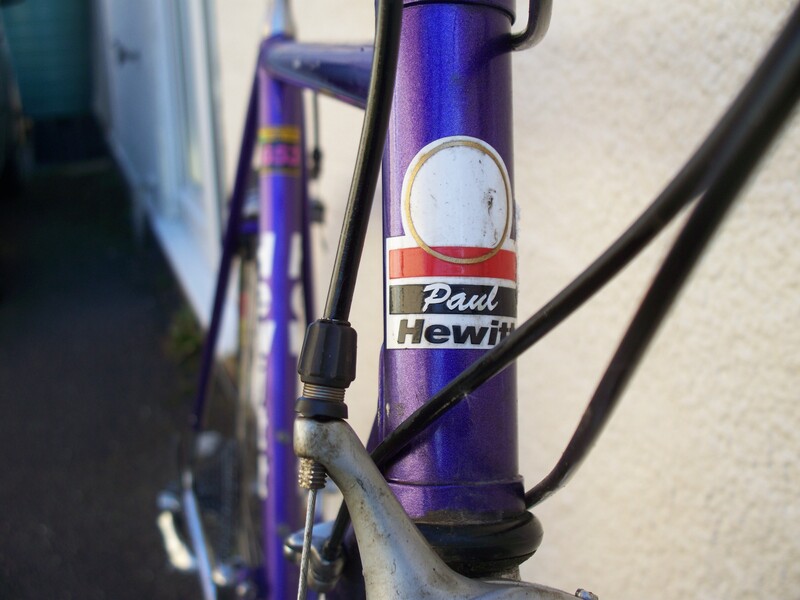 Mr Hewitt promises to be a good lightweight road machine once the grime and muck has been cleaned away , he will start off with light commuting duties and see what happens from there who know .